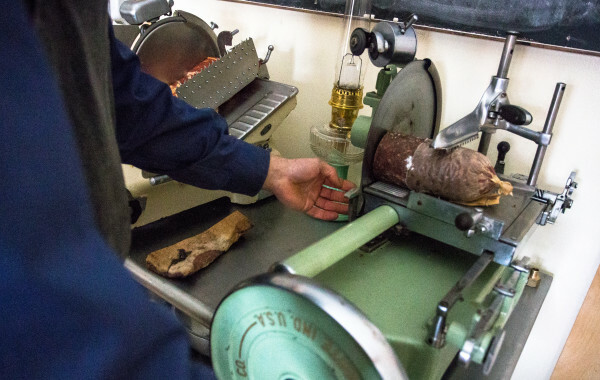 Matthew Secich, 45, owns and manages an artisanal charcuterie as part of the thriving Amish community in Unity — meaning he must run his store without the comforts of modern technology, or even electricity. UNITY, Maine — Matthew Secich, an Amish maker of dried meats, smoked cheeses and other delicacies at his small, old-fashioned store, Charcuterie, said this week that high food safety regulatory hurdles and heavy paperwork requirements are causing him to contemplate shutting down the popular business. Secich, a former big-city sous chef at the renowned Charlie Trotter’s restaurant in Chicago, said that he is well-versed in food safety and good industry practices. However, he feels that the highly detailed and specific standards delineated in the 158-page-long Maine Food Code are so strict they put an unfair burden on small businesses, such as his, and might be better — or only — suited to large corporate producers. But Maine state food safety inspectors have cast a dubious eye on some of his choices, such as his decision to keep the meats at the required 41-degree Fahrenheit temperature in a custom-built ice house next to the shop instead of with the help of refrigeration technology. However, so far, state officials say they are trying to work with Secich, not take action against him. But Secich, who is adamant that he doesn’t want to fight about an ice house, said that the refrigeration system isn’t the only sticking point he has with the state of Maine. When he received his retail butcher and meat shop license from the state when he opened his business on Sept. 4, 2015, he did not know he would later have to create a highly detailed food safety plan, called a hazard analysis and critical control points plan, or HAACP plan for short. That’s because the state updated the food code in the last year, Giguere said. It now includes a requirement for retailers — whether new or previously established — to have a HAACP plan under certain conditions. 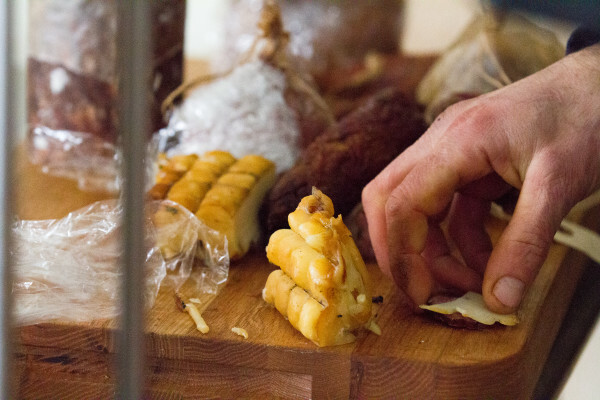 According to Giguere, Charcuterie came to the state’s attention in part because of a flurry of media attention in January. People all over the country heard about the store and were captivated by the idea of the chef, who became Amish last year, hand-grinding sausages in a rural part of Maine. Business picked up hugely, Secich said, and sales increased from $160 to $1,500 in just one day. The initial surge of new customers has abated, he said, but on Saturdays there is still a line out the door. One expert, Dr. Michele Pfannenstiel of southern Maine-based Dirigo Food Safety, said that she believes that one of the problems holding back local agriculture in Maine and throughout the country is the way that states implement and administer the food safety plans. She spoke to the BDN from southwestern France, where she is running a weeklong course in butchery and HAACP, and said that the two countries look at food safety regulation very differently. In France and western Europe, she said, governments regulate risks and not hazards. In America, the opposite is true. For example, a small professional butcher in France who sells locally to a small clientele isn’t required to have a HAACP plan, only good refrigeration and a good cleaning system, Pfannenstiel said. “That’s because by definition they are a less risky producer, with a limited distribution of their products,” she said. Meanwhile, a French company with a wider distribution would have to have a specific food safety plan because they are a riskier producer. However, in America, the government regulates hazards rather than risks, which Pfannenstiel believes is not, perhaps, the best strategy. Changing food safety policy is “very, very hard,” she said, and getting a variance for a business such as Charcuterie would require legislative changes she said are politically impossible right now. Still, some efforts are being made for national food safety policy to catch up with the explosion of and desire for locally produced offerings, such as legislation introduced this week by U.S. Sen. Angus King, I-Maine, and U.S. Sen. Rand Paul, R-Kentucky. The Processing Revival and Intrastate Meat Exemption Act, or PRIME Act, is intended to give states the freedom to permit intrastate distribution of custom-slaughtered meat to consumers, restaurants, hotels and grocery stores. 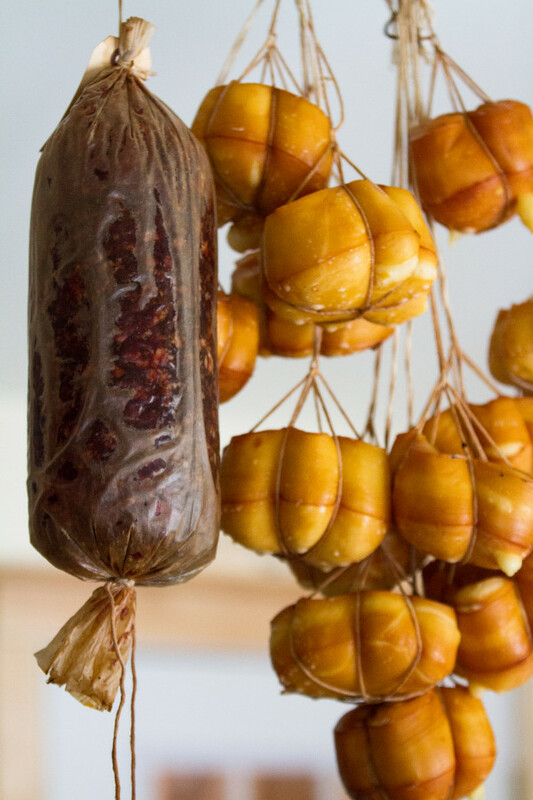 If Charcuterie cannot thrive, and if Matthew Secich and his wife, Crystal Secich, make the hard decision to close down, that would be a real shame, said their customer and friend Tim Loeb of Thorndike. He said that many other businesses in the area have benefited from the people who drive to Unity from all over to visit Charcuterie.